It's time for another update: Sequent 1.3.0 is now available. Sequent is a step-sequenced multi-effect processor with a flexible modular effects routing system, an incredibly powerful beat looper, twenty-three parameter sequencers, and a wealth of randomization options. Sequent is the ideal tool for mangling audio on stage or in the studio. 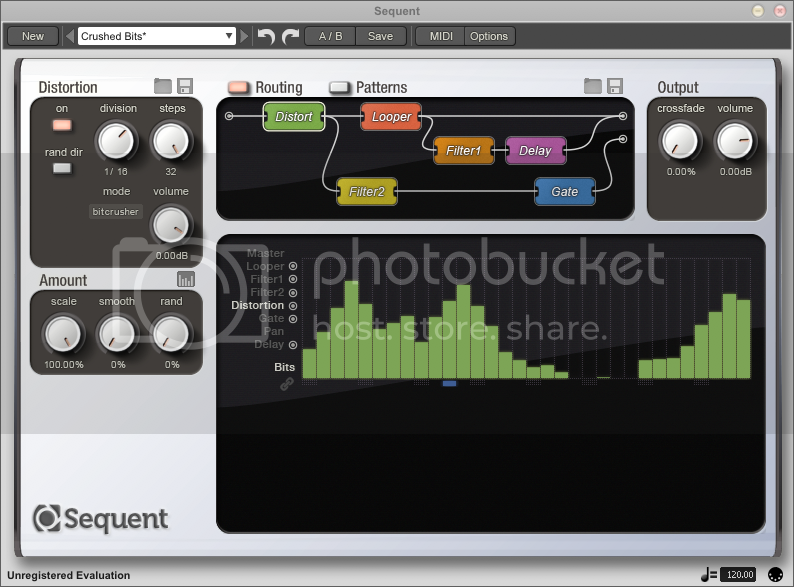 Sequent is available for Mac OS X v 10.4 and above, Windows XP and above, and Linux, in Audio Unit, VST plugin, RTAS for Pro Tools 7 and above, and Standalone application formats.